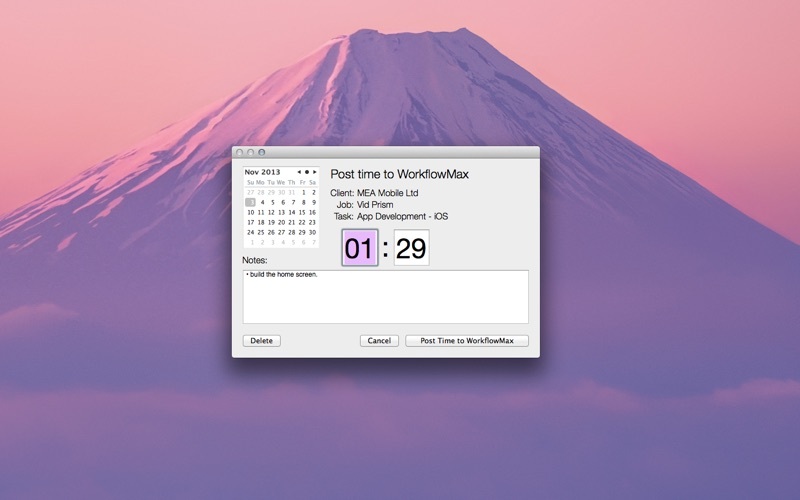 Record your time in WorkflowMax without having to log in to the website! • Please note that Actual requires a subscription to WorkflowMax website ‘Actual’ was built to help users easily record and post Time Sheets in WorkflowMax. The app allows you to track time as you go, and access your WorkflowMax jobs without having to login to the website each day. 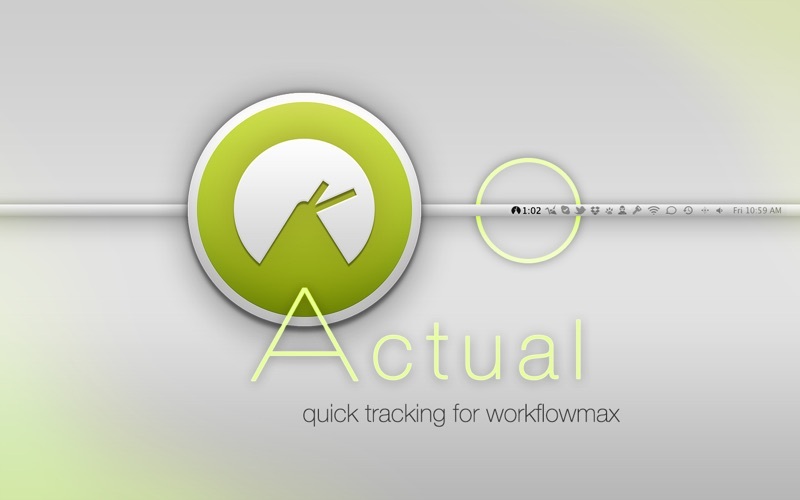 'Actual' displays a small non obtrusive animation to your task bar so you can easily track the hours you spend on jobs. With 'Actual' you can: • Select a Job and Task and record a Time Sheet for it • Optionally add notes to tasks • Easily change the time or date before posting • See a summary of all non-posted Time Sheets in one view, adjust as required and post all at once! 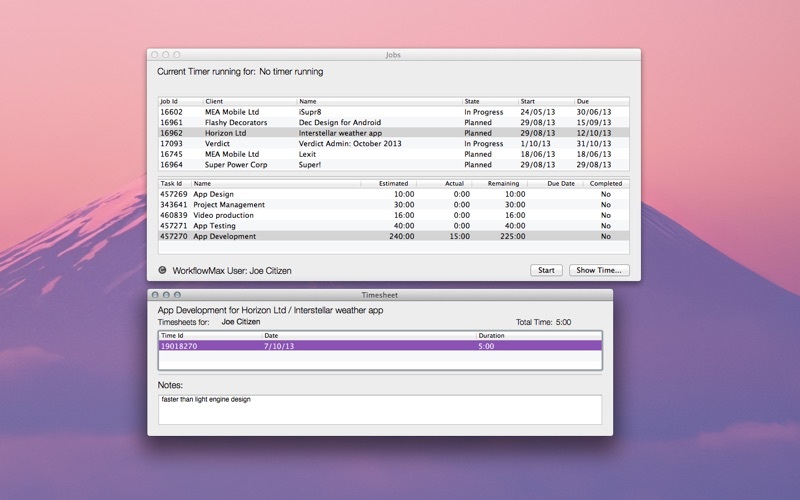 • Enable an idle timer so that if you leave your desk Actual will give you the option of subtracting this time from the current task or carry on Access a simple view of your Jobs, Tasks and Time. 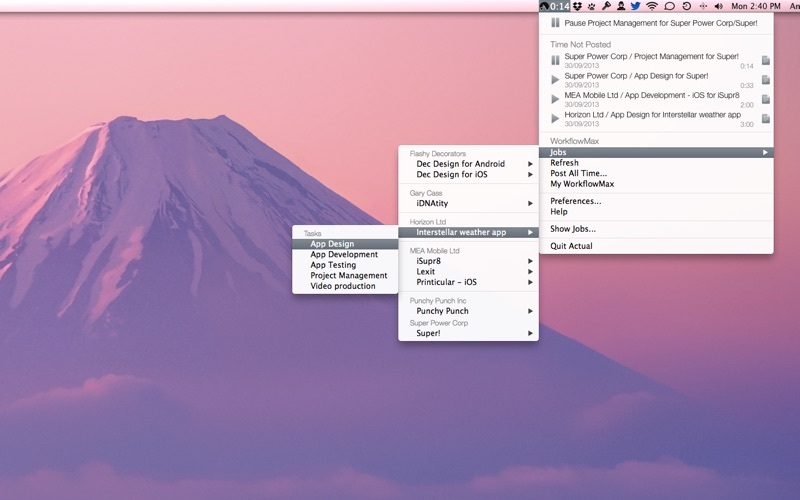 If you like 'Actual' checkout 'AnyTime' a color coded world clock for OSX task bars. 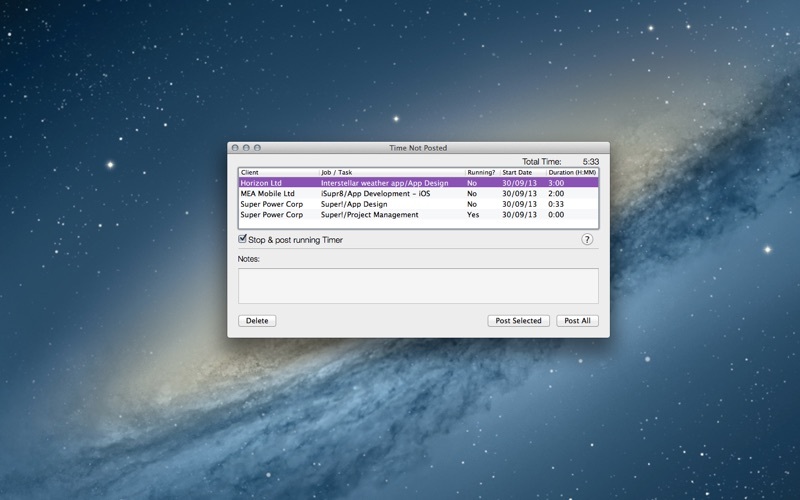 With AnyTime you can view multiple time zones on your Status Menu (Task Bar). Visit http://www.meamobile.com/anytime for details. For information about more MEA Mobile products visit http://www.meamobile.com WorkflowMax is owned by Xero.